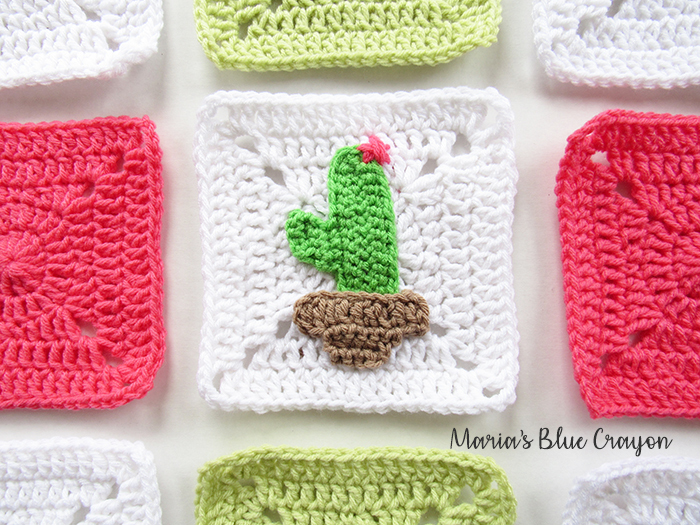 I don’t want to spill the beans just yet of what the theme of this granny square afghan will be, but it obviously involves cacti! 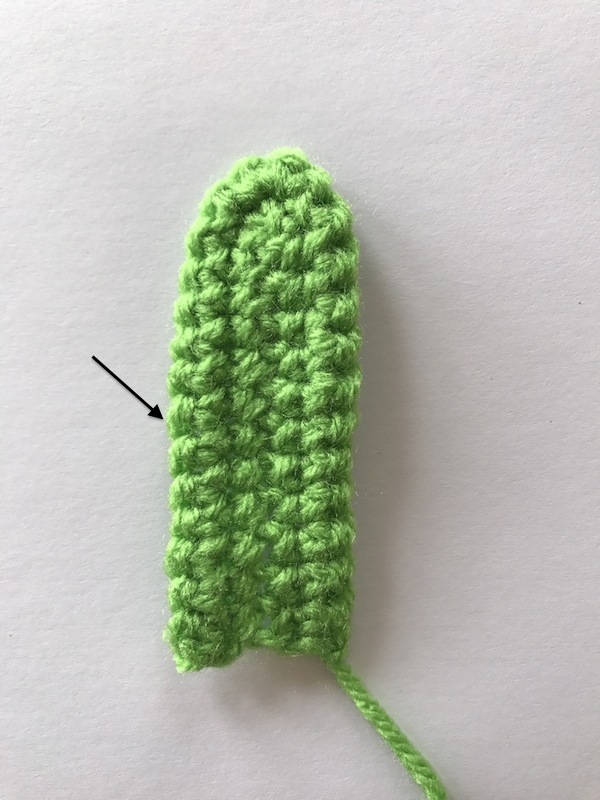 It’s no secret that I love designing crochet appliques! If you’re new here, check out my Ocean Afghan and my Woodland Afghan. Oh, and I can’t forget about the Christmas Afghan we did as a crochet along last year! 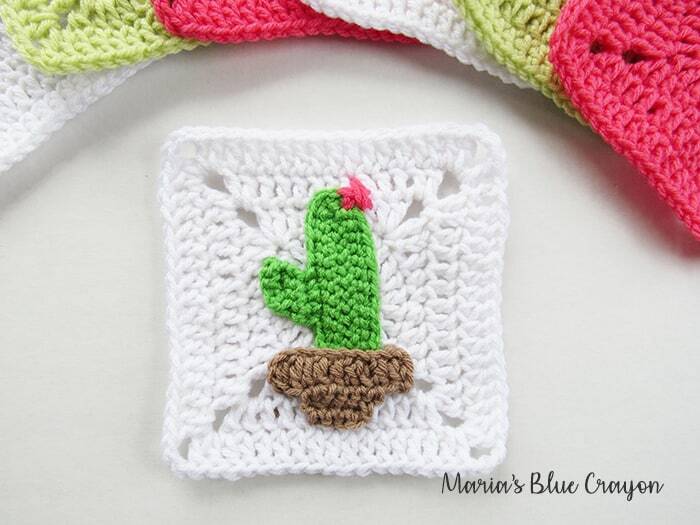 So I’ve been around the block a time or two when it comes to granny squares and appliques. Funny because every single one of my granny squares are different patterns! I think I’ve perfected the granny square this time though. This solid granny square has a circle center (which I love in a granny square!) and no seams! Perfectly perfect. 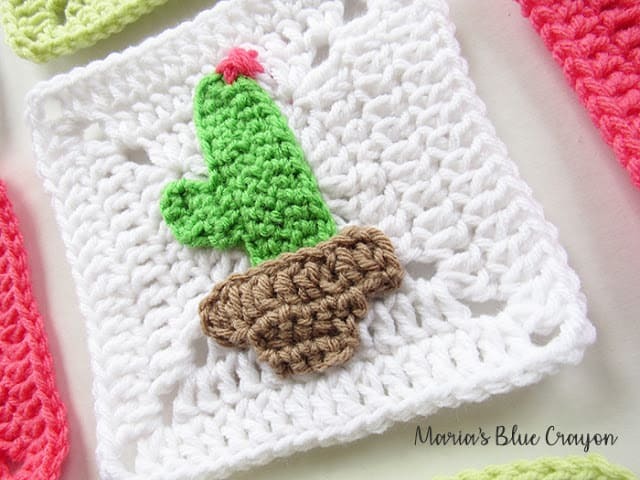 One of my favorite things about making granny squares is that you can make them during the warmer seasons without being bogged down with a large blanket in your lap! 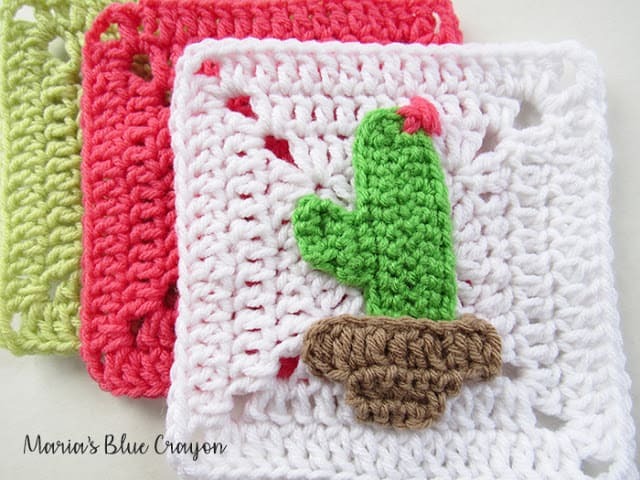 Another favorite thing I love about making granny squares is that it’s almost instant gratification! Every square is like it’s own little project and it just feels so good to get just one more square finished! 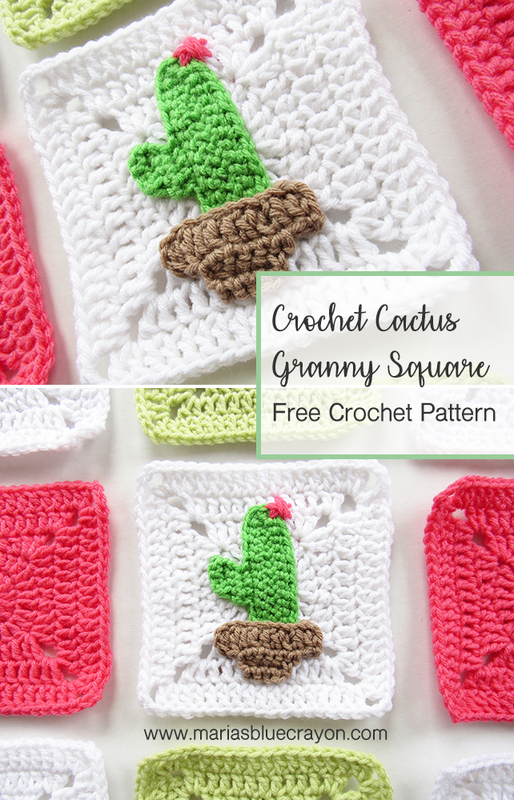 There are a lot of other reasons why I love granny squares too.. like how you can work on them basically anywhere, there are endless possibilities (traditional grannies, solid grannies, small grannies, large grannies, stripes, one color, many colors! ), and they’re so simple and there are so many creative ways to put them together. Cactus will be made separately from the pot. Applique can be sewn on with matching yarn color or with needle and thread. 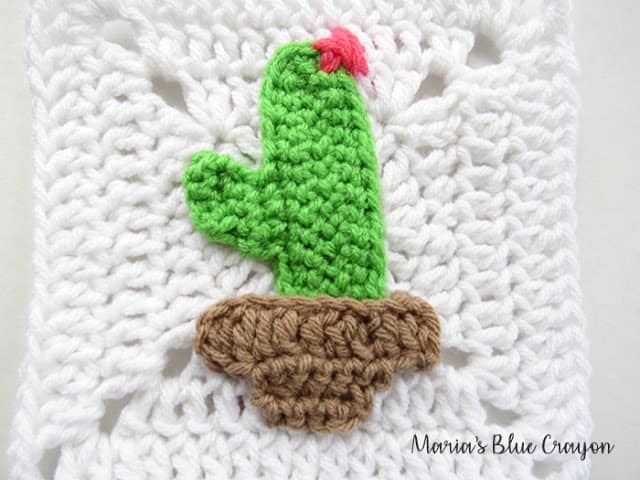 Once granny square is finished, sew the cactus and the cactus pot onto the granny square. Use pink yarn and tapestry needle to embroider flower on top of cactus. Looking forward to your finished project.